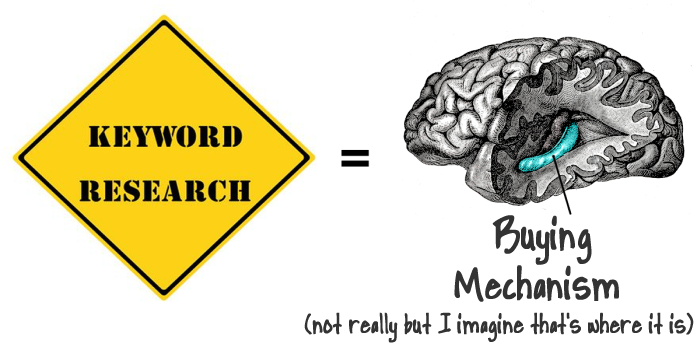 Keyword research is very important for your business. Whether you are paying someone to do your SEO (hopefully me) or you’re slaving away doing it yourself, you need to start with researching what people are searching for. 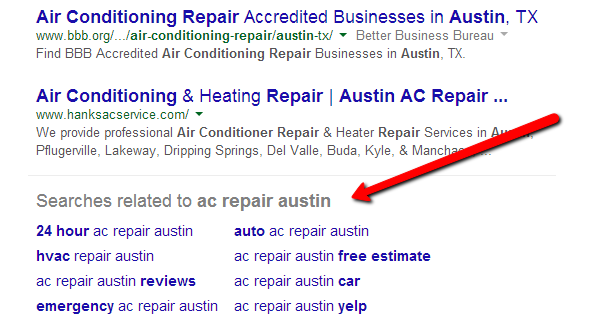 Google will tell you exactly what your customers are searching for! Craziness, and I’m going to teach you how to find out. And if they are searching for it, they are sure as heck ready to buy or use your services. But let’s first start with the basics. They are words (or phrases) that a user types into Google. Whoa Steve, really good explanation! Don’t like my profound definition above? Fine, I’ll give you an example. If you’re looking for a dentist in Austin TX the keyword you might type into Google is “austin dentist.” Google will then display the results that best fit your search term (or keyword) and give you a list of websites. It’s valuable information for you to have for your business. Ok enough with that, roll those sleeves up and let’s do this! Save this puppy and let’s move on. I use notepad for this step but Microsoft word or Google docs works too. I’m a big fan of Google docs these days but that’s for another blog post. Google the creator of the world developed an amazing tool that we get to use for free! Woohoo, thanks Google! It’s called the Keyword Planner and you need to have an adwords account (don’t sweat it, it’s free). Later down the road I’ll show you how to use Adwords but for now it’s keywords. Sign up for a free account and visit this link to access the tool. Believe it or not people might not be searching for what you think they are (OMG I can’t believe it!) but don’t freak out (I just did! Ahhh!). I’m going to help you find out what they are typing into Google. You can thank me later or now by sending $100 to 2407 S Congress Ave Ste E #321, Austin TX 78704 (make it out to me or my wife will go buy more crafting supplies, she’s not a pocketbook type of woman which is cool with me). Check out the nifty graphic below, we want to look at monthly searches. So What’s the Magical Number of Searches per Month? Austin dentist is being searched way more than austin cosmetic dentist but the second phrase is a much more specific term which would yield fewer but more valuable results. It’s super targeted and you know exactly what your customer wants. In a perfect world you would want to create a landing page for just that one keyword but again let’s keep it simple for now. I don’t bother to track or try to optimize for it. Ok let’s move on to the next step. is golden! It’s like that last bite of chocolate mousse cake, the one with just the right amount of icing, cake and a touch of mousse, yummy (yes I love food). Where the hell were we, oh yes keywords that Google suggests. These are keywords that Google suggests to you. My strategy is to go through these and copy and paste them into my spreadsheet. I also like to include the search volume just so I have it as a reference. 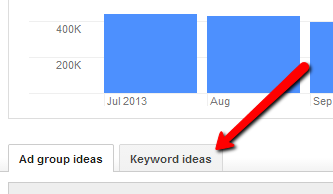 NINJA TIP: A great way to get more ideas is to enter one of your keywords into Google. Then scroll to the bottom of the page and look at what Google lists. These are other terms people are searching for and insert them into in the Keyword Planner to see how many searches they get. Simply go back to step 2 and insert them into the Planner. 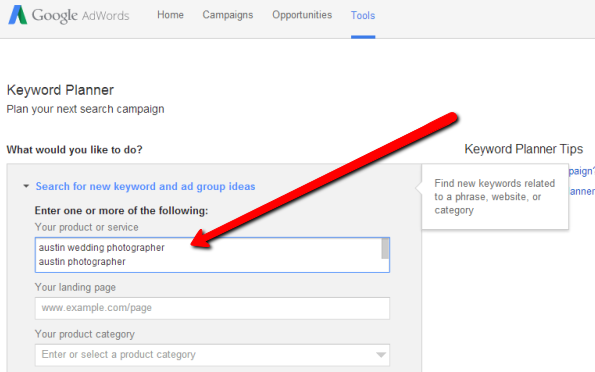 SUPER NINJA TIP: Enter your URL into the keyword planner and look at what keywords Google associates with your website. If some of these look promising copy them into your spreadsheet. Don’t copy anything that has your business name in the keyword phrase. 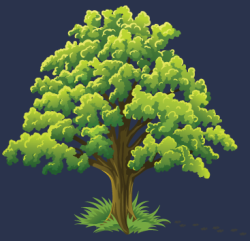 We really don’t care about these because most of our businesses will rank for our own name. And if it doesn’t don’t sweat it, most people aren’t searching for your brand name unless you’re Apple (or another monstrous company). How Many Keywords Should I Have Altogether? Great question but sorry I have no answer. Hehehe jk. 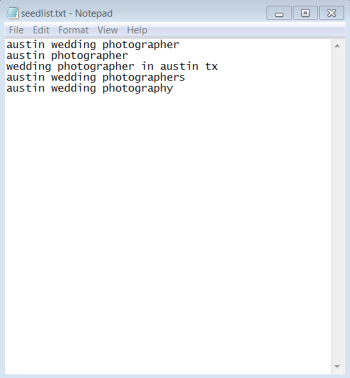 I like to shoot for around 10-20 keywords. I have my go to 5 keywords and then the rest are others that I want to rank for. Holy Crap This Is WAY Too Much To Comprehend! Don’t worry, I have you covered. Let’s do a quick recap. 1. Make a basic seed keyword list, 5 is cool. 2. 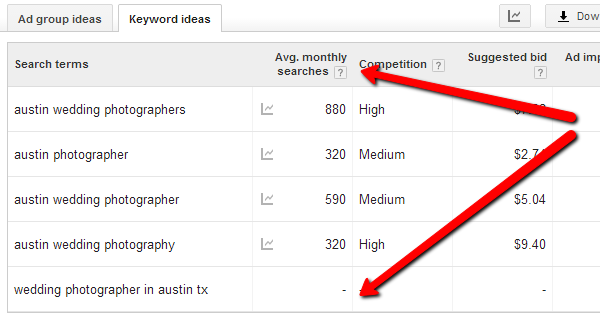 Dump those into Google’s Keyword Planner and keep the winners, dump the losers. Enter those into your spreadsheet (grab mine for free). 3. Look at other phrases that Google suggests and copy those into your spreadsheet. Shoot for a spreadsheet with 10-20 keywords and highlight your 5 main ones. And that’s it! 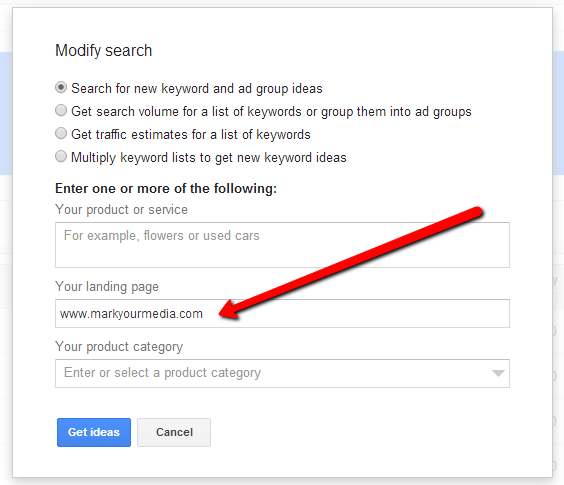 You now have a keyword list for you business. Keep this on your computer and somewhere safe. I always like to reevaluate my keywords around once per quarter but mostly they stay the same or I might add a few to it. 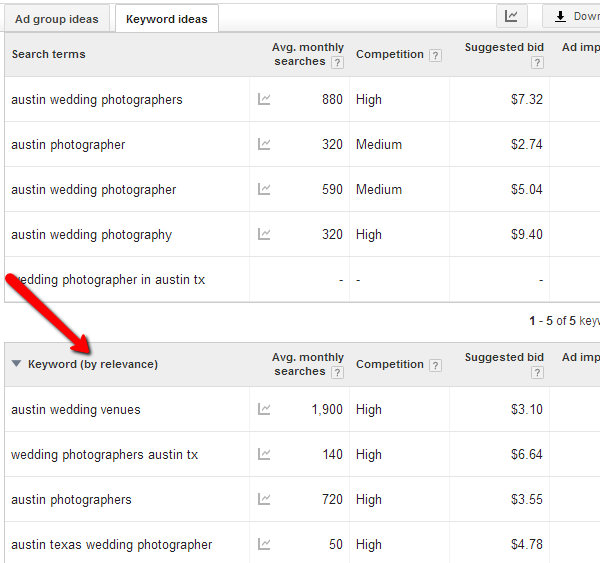 Confused or are you a keyword ninja and have some tips to add? Comment below and don’t forget to sign up for my weekly small business tips!